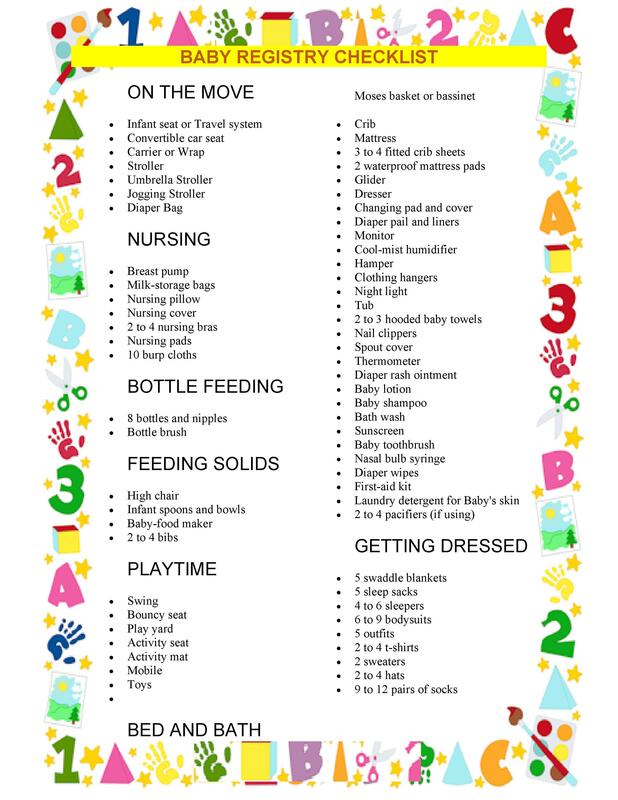 Preparing your home for a newborn is not quite as hard as actually giving birth to one, but it is still a difficult and time consuming task. 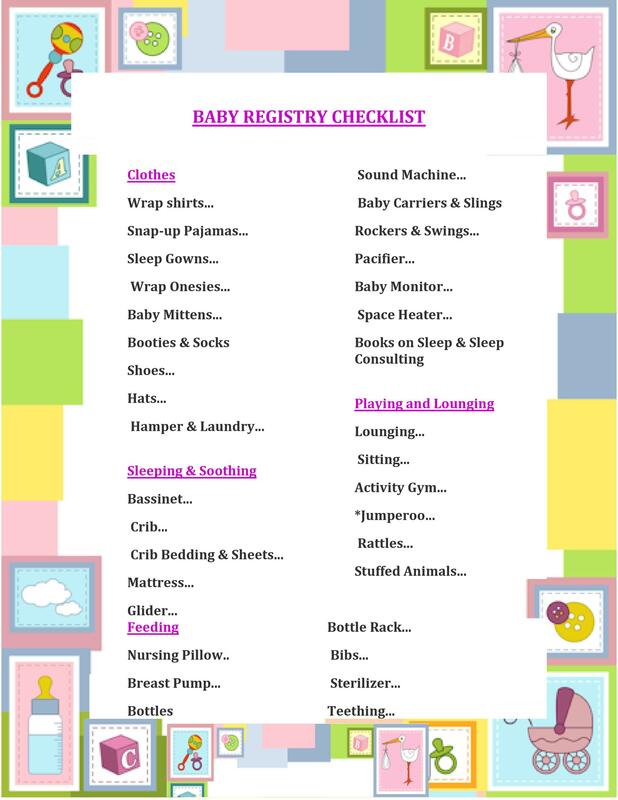 Following a good newborn checklist can make the process of getting ready for your new baby much easier. Though you should still pay attention to your family’s individual needs, it is very helpful to have an idea of the type of things that you will most likely need. This can give you peace of mind while making your home ready for your new infant. 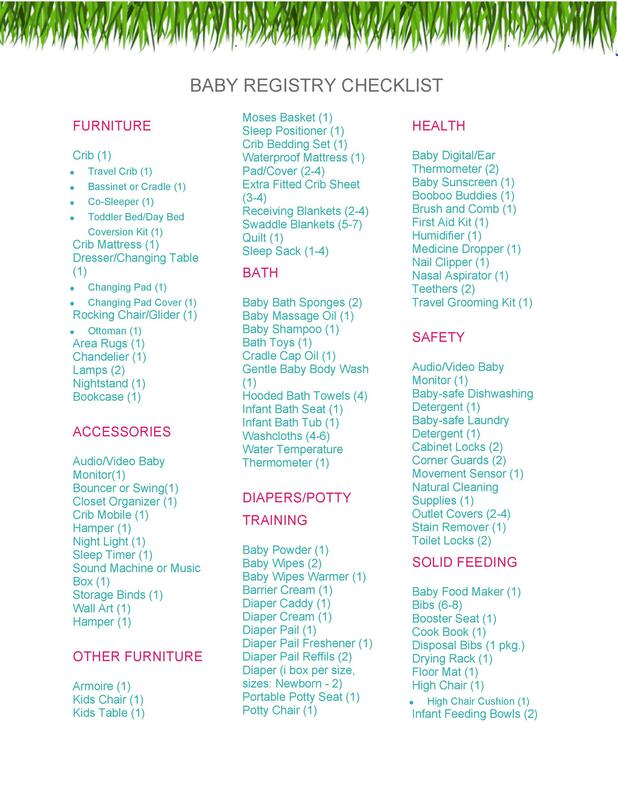 In the last months of pregnancy, you may be feeling too tired to spend hours hunting down each perfect item for your newborn. 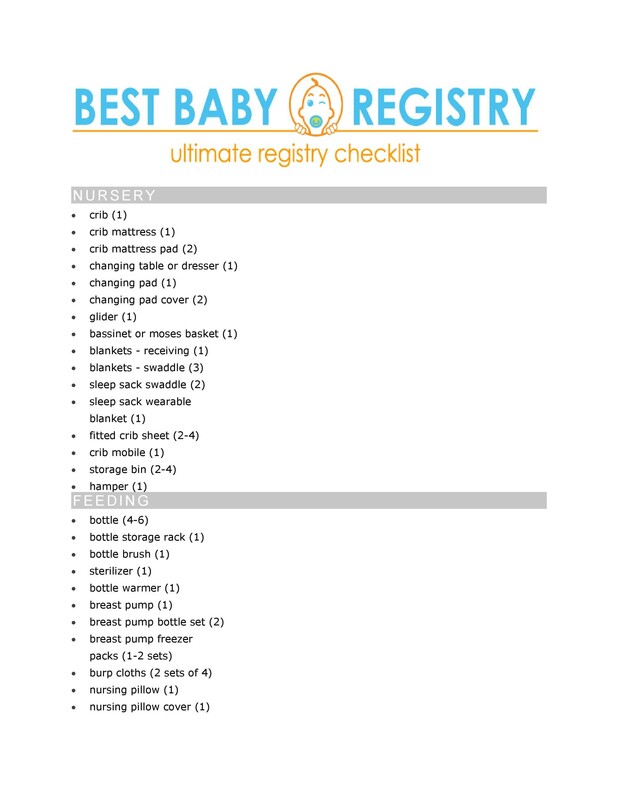 Therefore, it might be better to get items crossed off your list earlier on in the pregnancy. 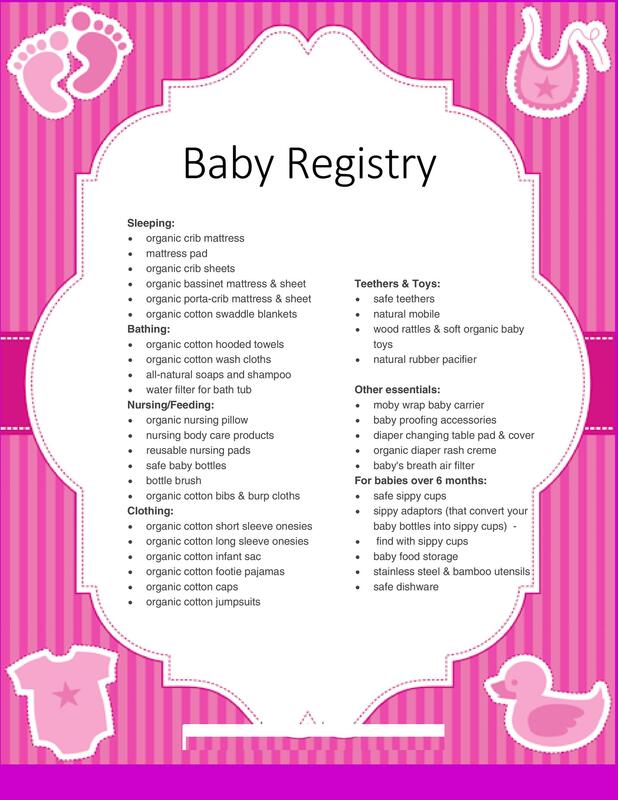 The second trimester can be the perfect time to go shopping for your newborn. However, do not stress out if you cannot get everything you need immediately. 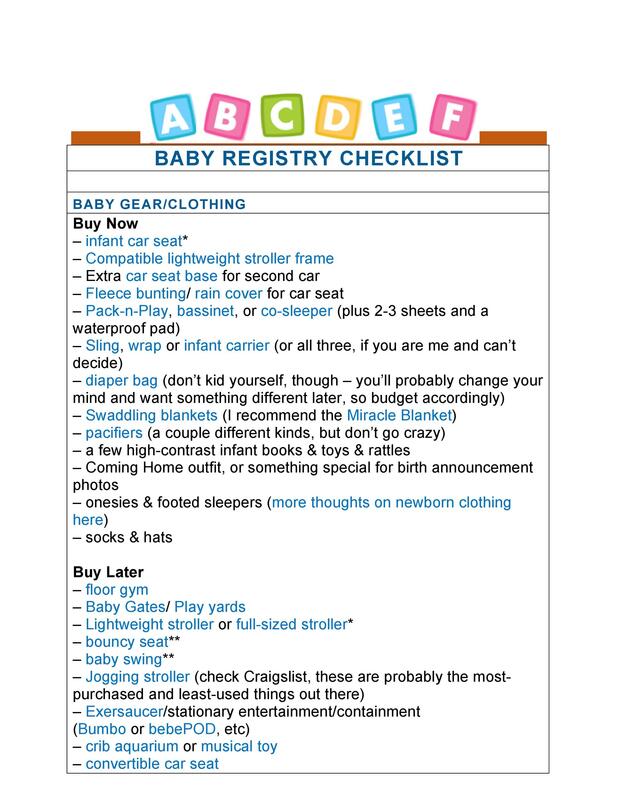 Friends and family members are always willing to help out, so you can add essential items to your baby registry checklist if you forget anything during your initial round of shopping. 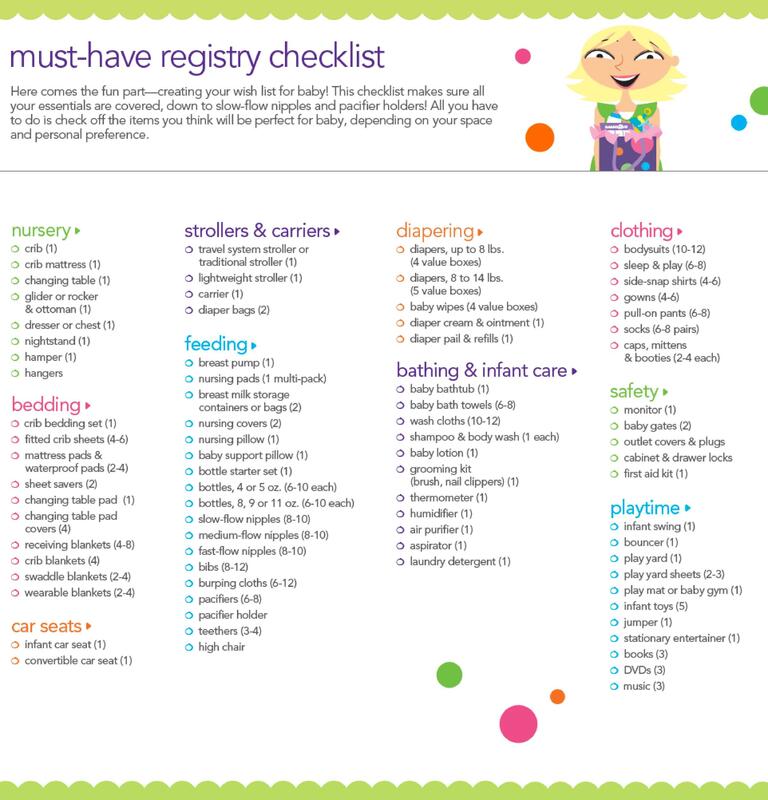 Some items on checklists can even be purchased by your helpers after you give birth. Do you have any other children? 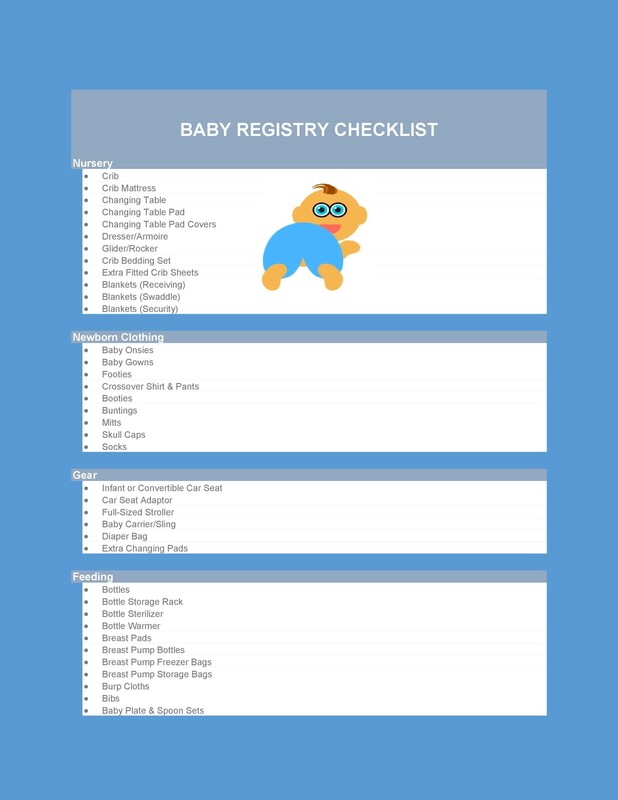 If you have previous infants, you may not need a very lengthy baby registry checklist, since you probably already own a lot of reusable essentials like clothing or cribs. 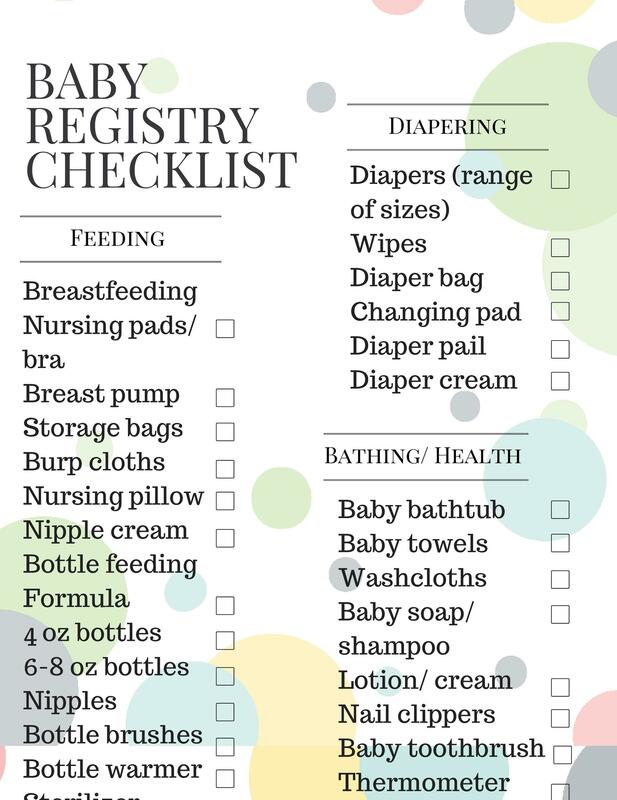 Instead, focus on a checklist that relies on single use items such as diapers. 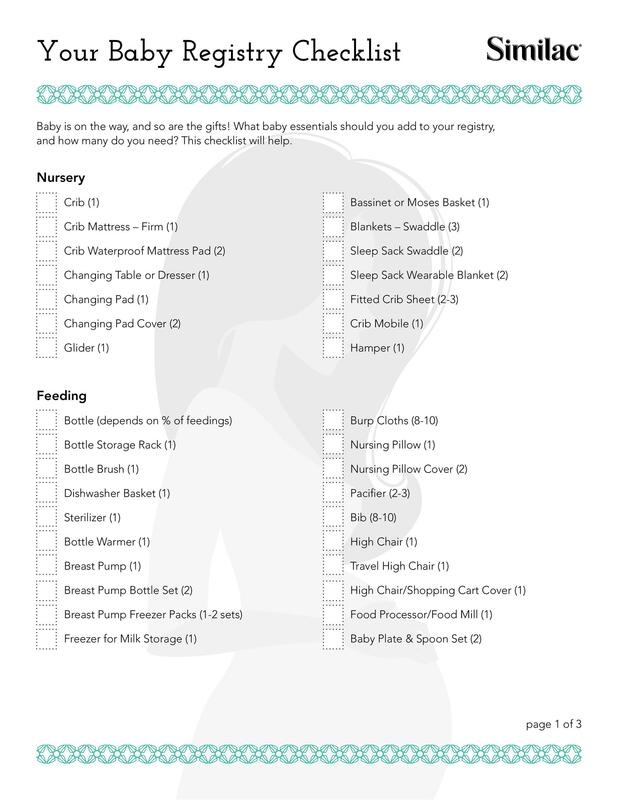 How are you planning on feeding your newborn? 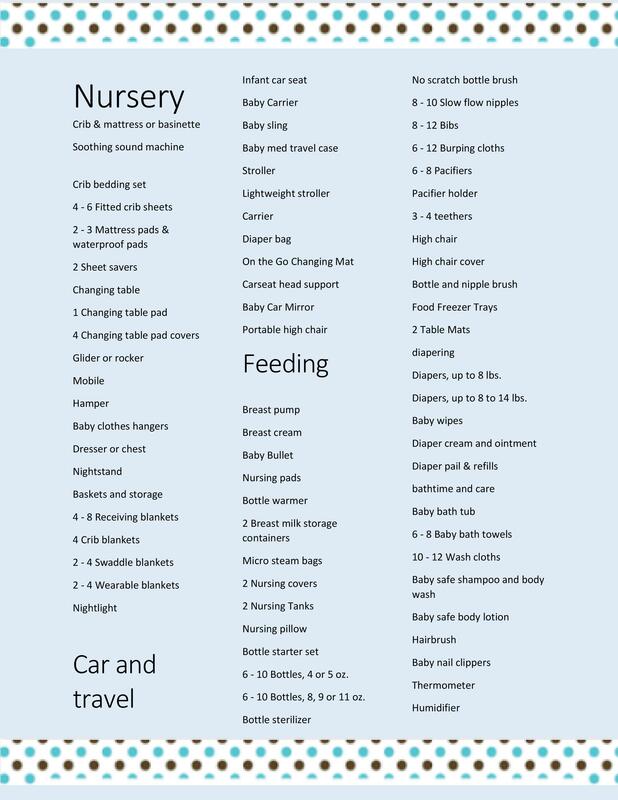 Some checklists rely on items for breastfeeding, such as nursing pads, while others mostly contain items for bottle feeding, such as formula. 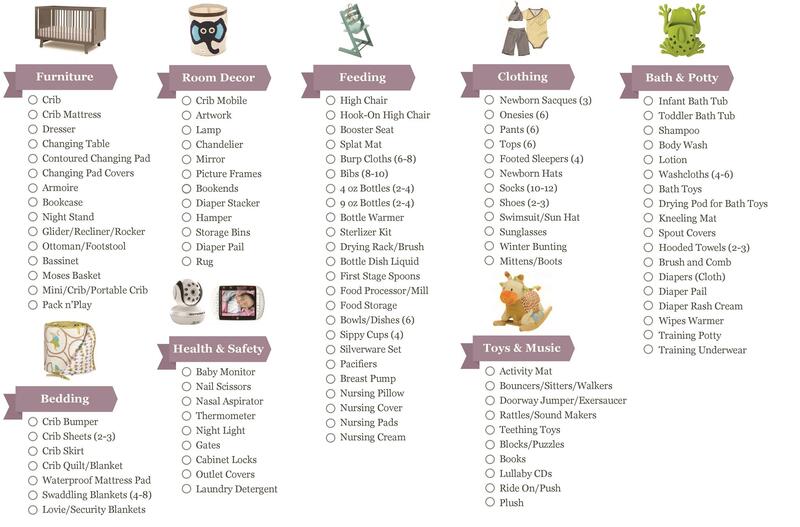 Pick one that matches your plans for your child. Do organic items matter? 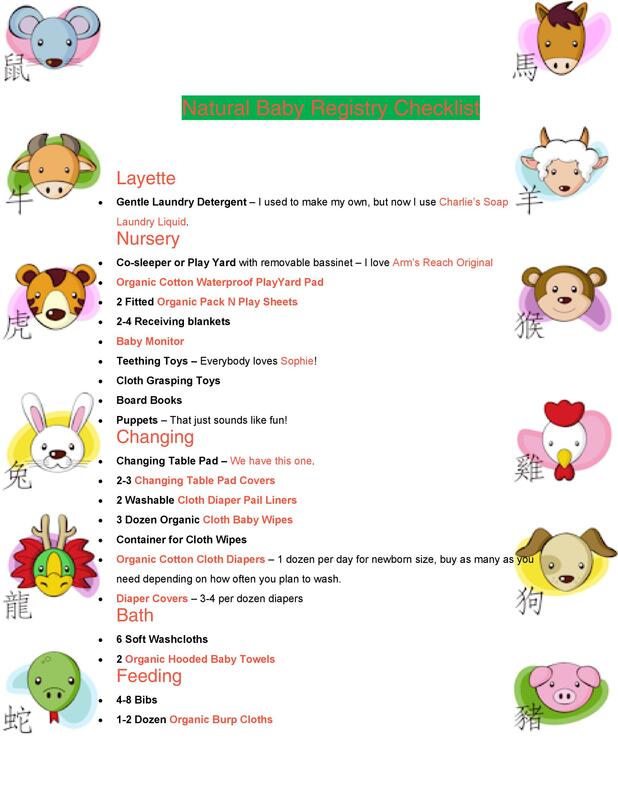 Some parents insist that every item near their child be chemical-free and completely natural if possible, but others are not so concerned. This is a rather personal choice, but it can make a big difference to the type of checklist you use. Where is your child sleeping? 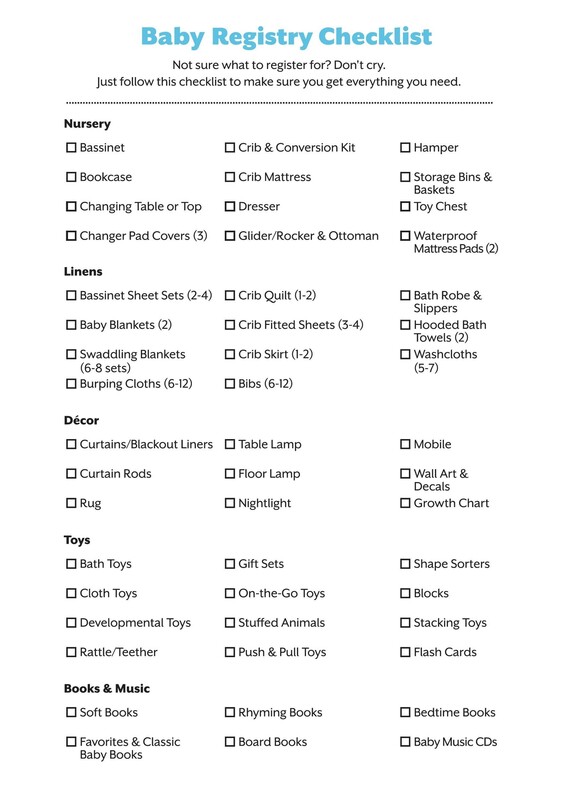 A lot of checklists focus on bedding, but this is not really necessary for parents who are planning on sleeping with their child. 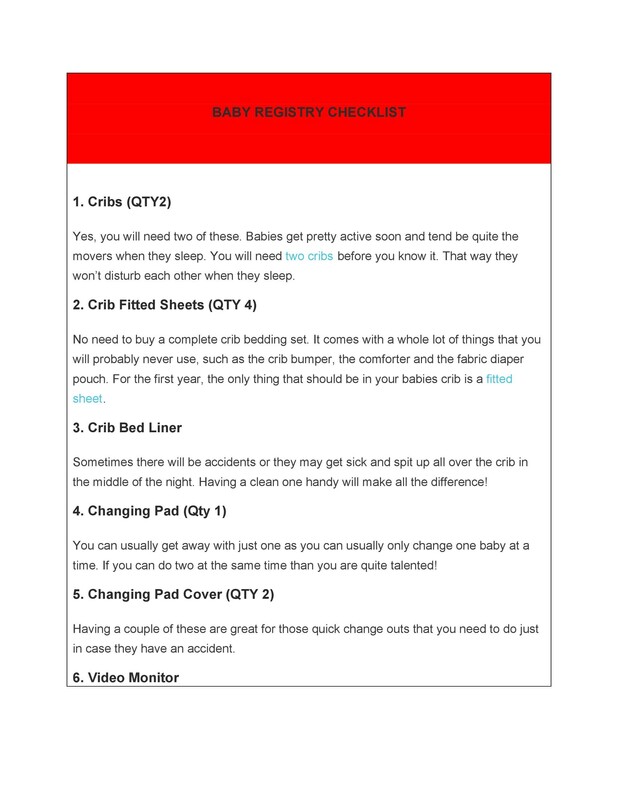 Instead of crib mattresses and blankets, co-sleeping families will need checklists that contain items like side rails. 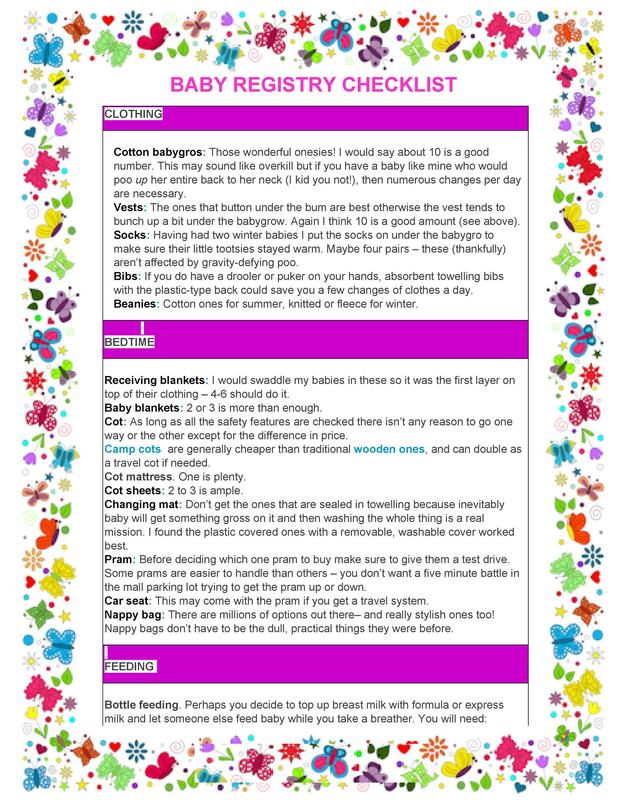 Feeding Items – Whether you choose to breastfeed or bottle feed, make sure that you are prepared for any feeding necessities. 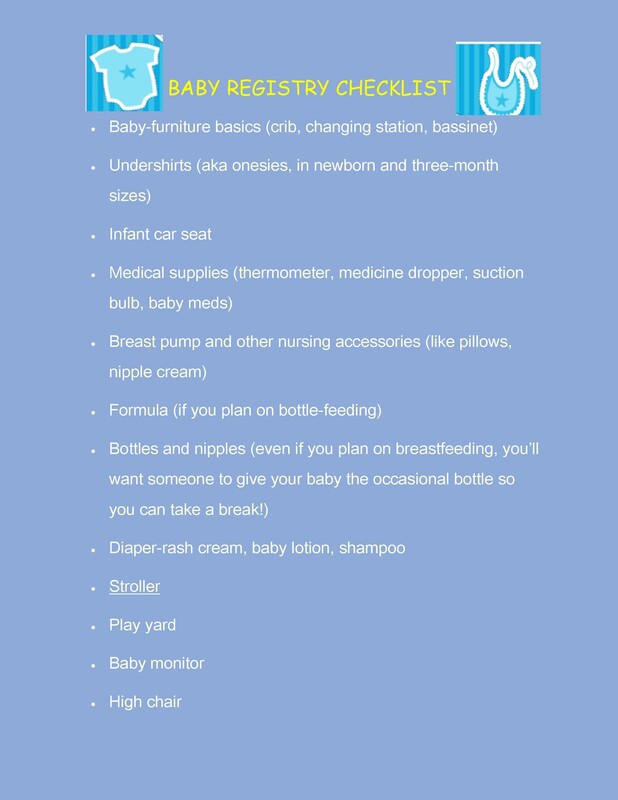 Even mothers who plan to breastfeed should get a bit of formula, just in case it becomes necessary. 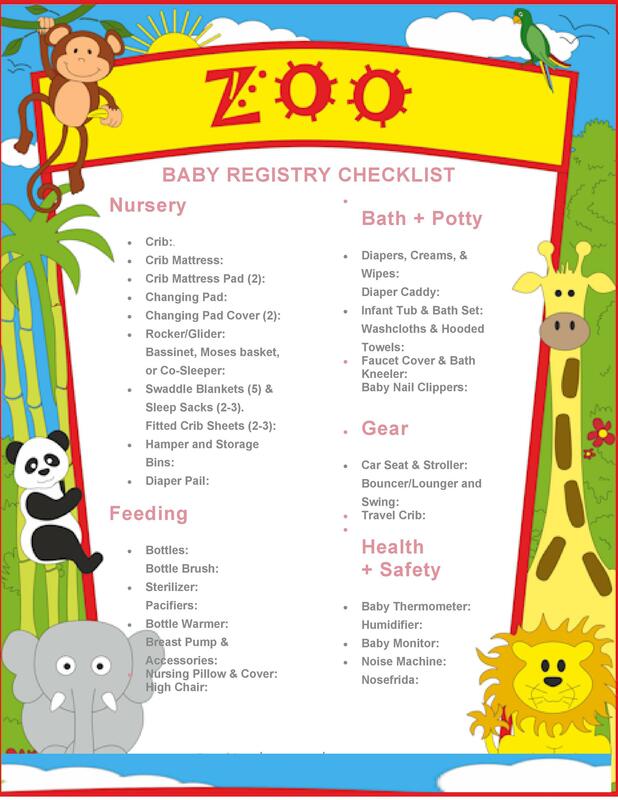 Bath Gear – The sensitive skin of infants means that they will need a lot of specialized bath products. You may even want to consider some sort of baby bathing device because it can be hard to hold on to a slippery, squirming infant in a traditional bathtub. 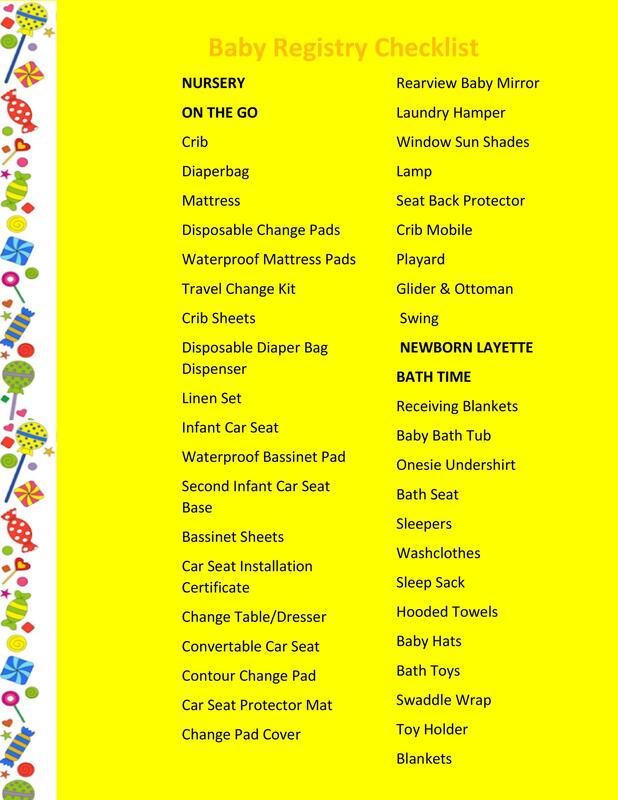 Transportation Items – These items are often forgotten while families are busy making their home the perfect place for a newborn. 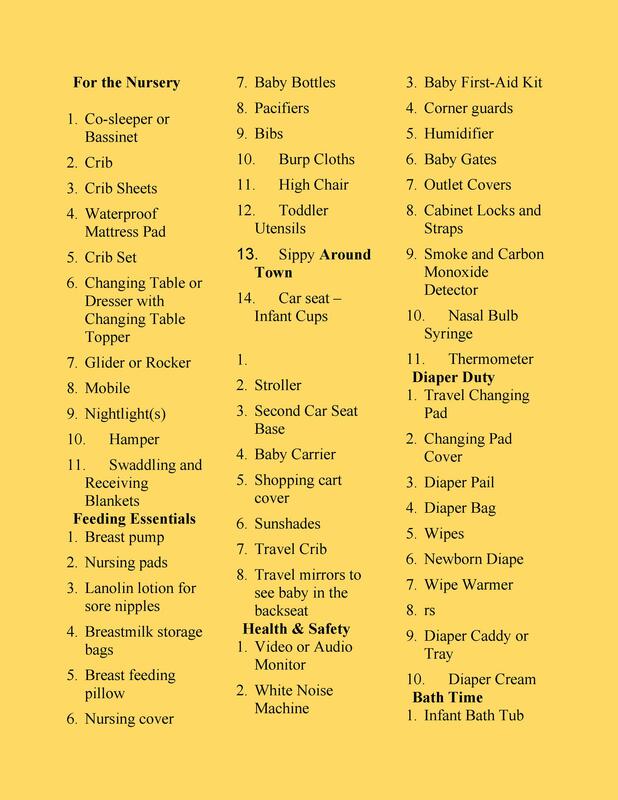 However, you will be taking your baby to many places, so car seats, diaper bags, and other necessary traveling gear is very useful. 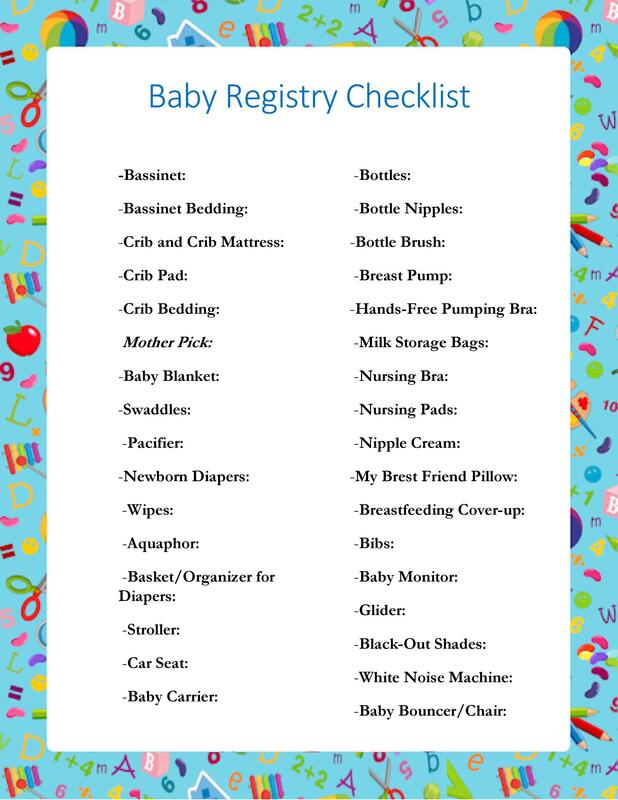 Bedding – Newborns sleep a lot, so you should have bedding options that work in a variety of areas and situations. 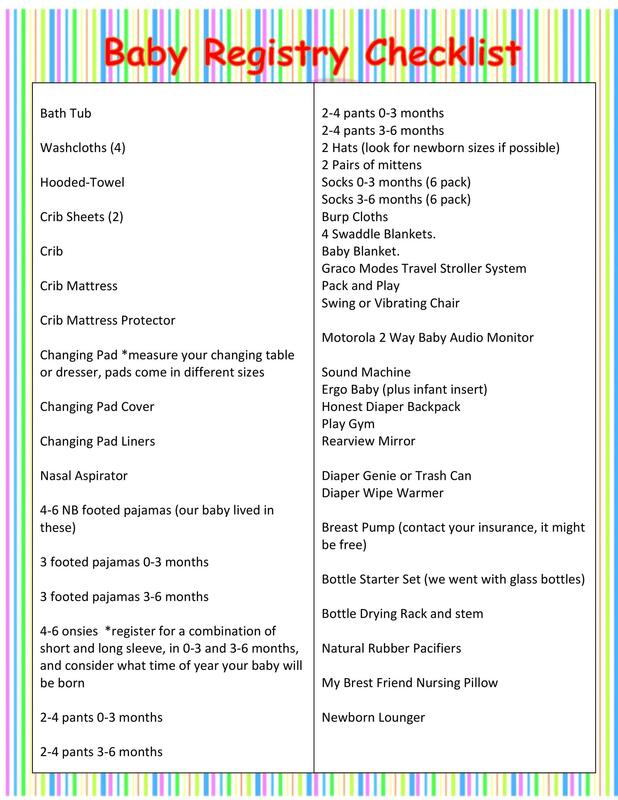 Anything that helps your baby get to sleep will also help you to have the rest you need. 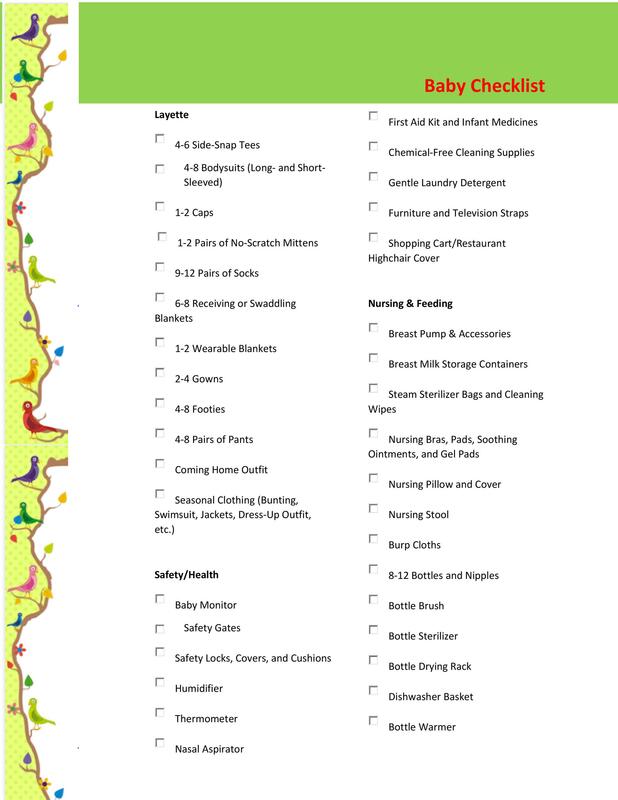 Diapering Gear – Everyone knows that infants go through a lot of diapers, but you may be surprised to realize just how many other things are included in the process of changing your baby’s diapers. 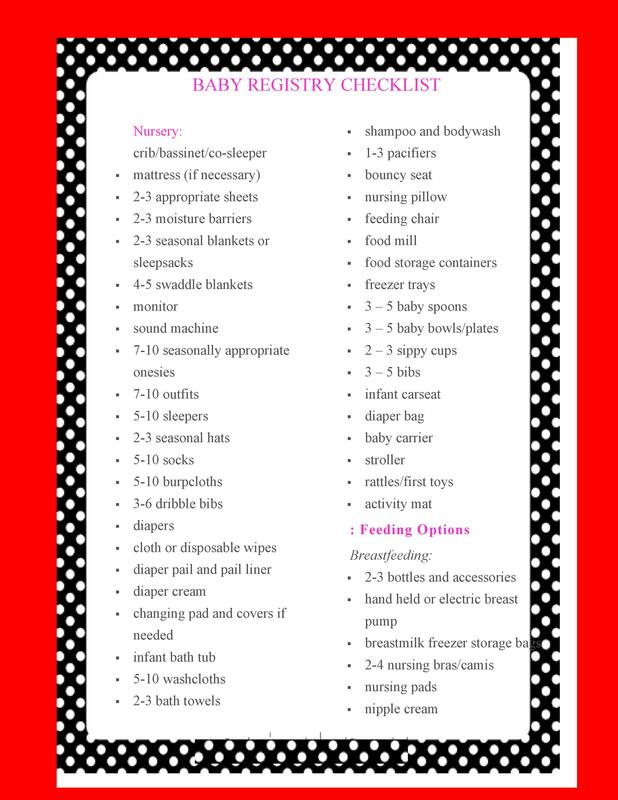 Make sure you have everything needed to easily switch from dirty to clean diapers. 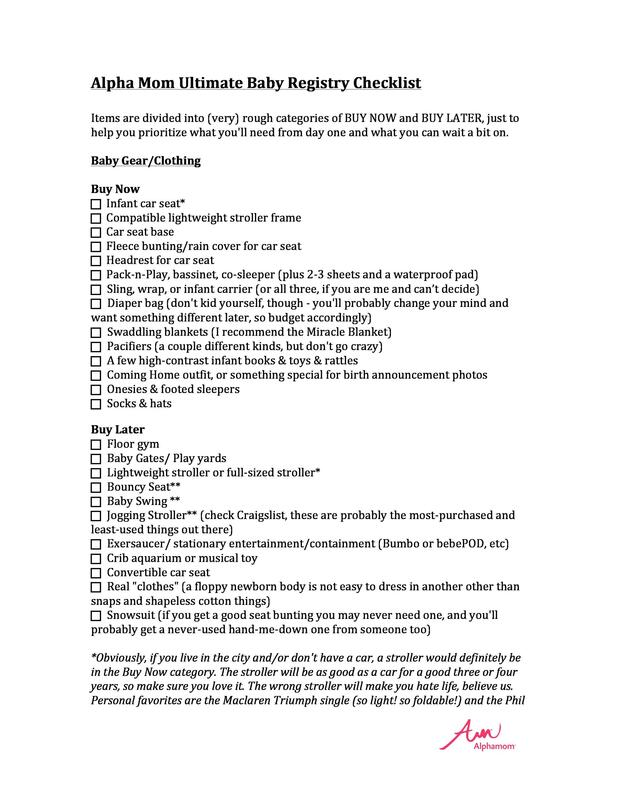 Clothing – In the early days of parenting a newborn, you will not have a lot of time for clean laundry. 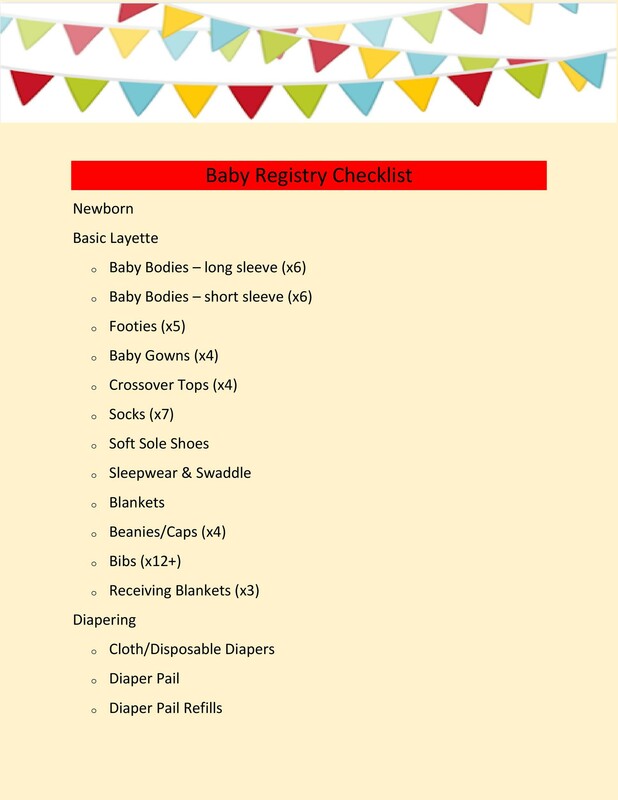 Therefore, it can be very useful to have a lot of clothing ready for your rapidly growing baby. Keep in mind that clothing needs may differ depending on when you give birth. Nursery Furniture – Many parents make the mistake of getting caught up in all the little details and forgetting the big picture. Make sure you have a lot of useful furniture to keep your baby’s room a pleasant and functional place as they grow. 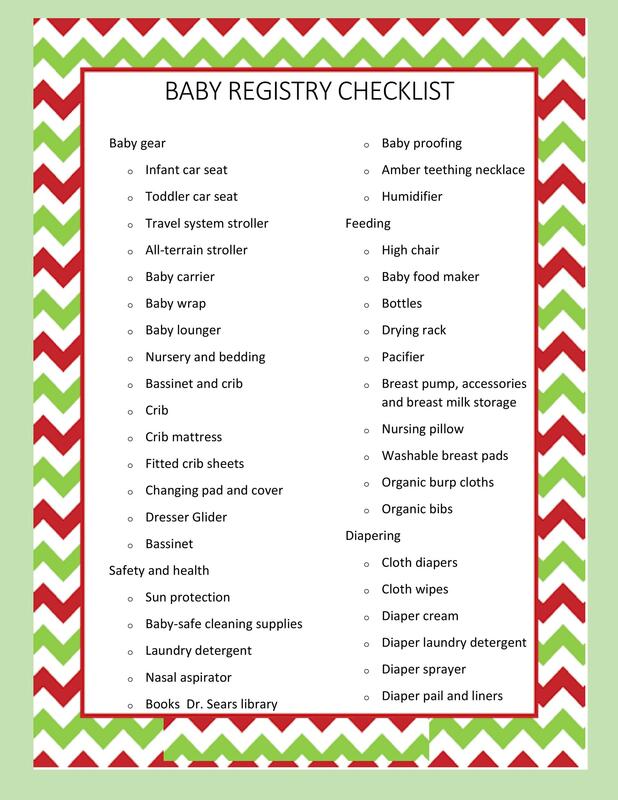 Medical Aids – Basic baby first aid items, such as a baby thermometer or diaper rash cream, can be a huge reassurance if something goes wrong. 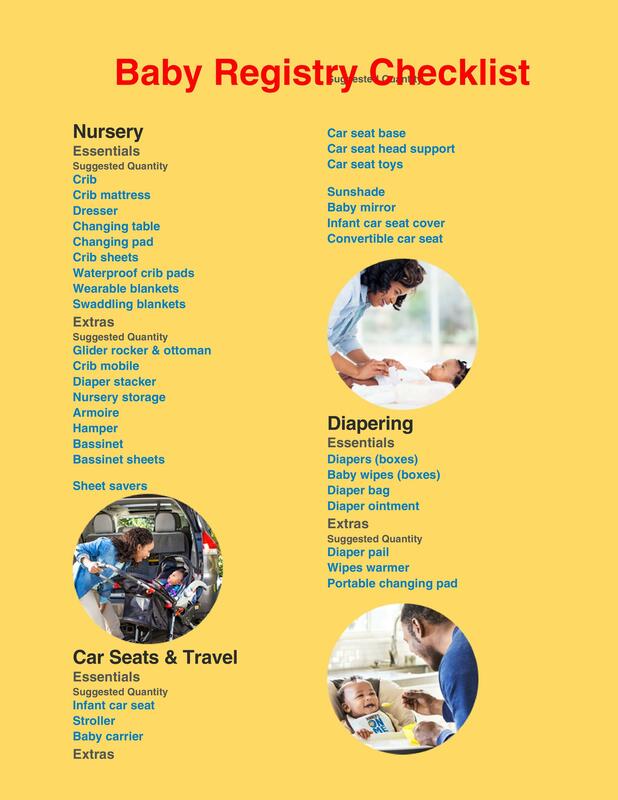 Stock up on these essentials before your infant gets sick so you can take care of them if something happens. 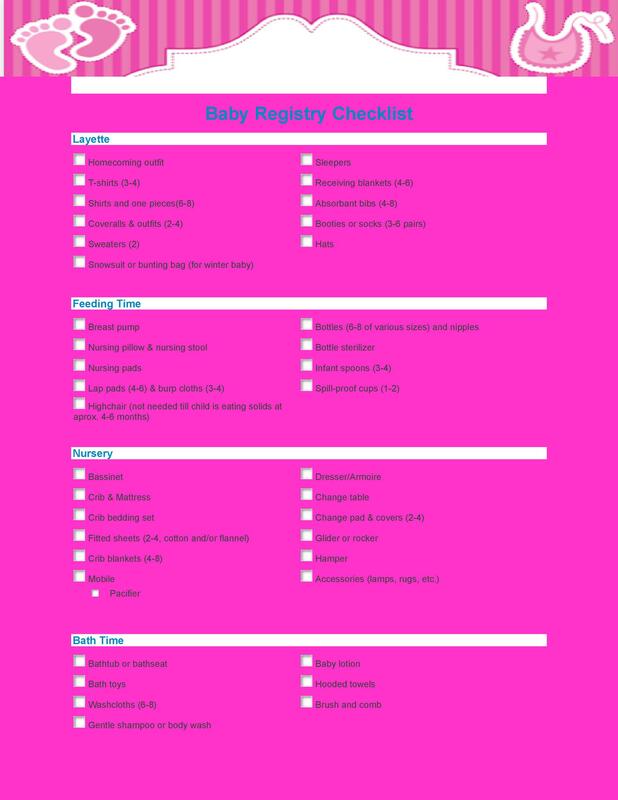 Not every step of planning and preparing for a newborn baby can tidily be fit onto a newborn checklist. You can also start getting prepared by getting ready for lifestyle changes. It is important for both parents to talk to their work and find out how much maternity leave they can get. 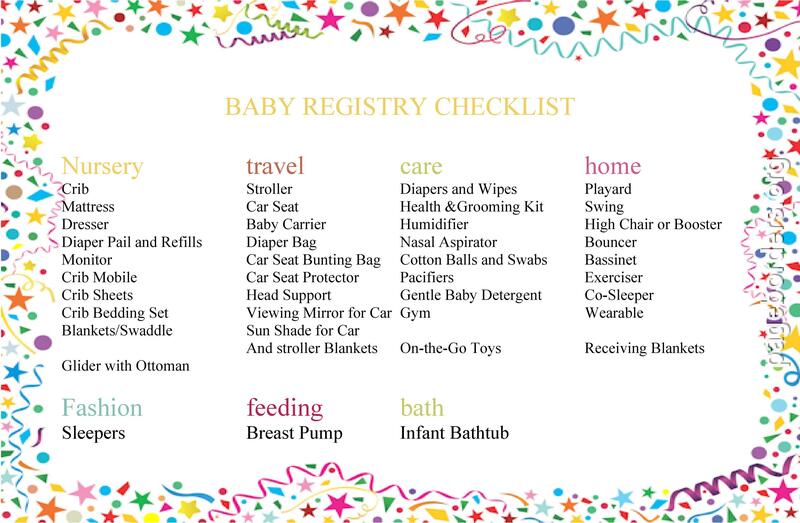 And things like doctors appointments and adding your baby to your health insurance cannot easily be put on a baby registry checklist, but they are still things that will be needed by your newborn. 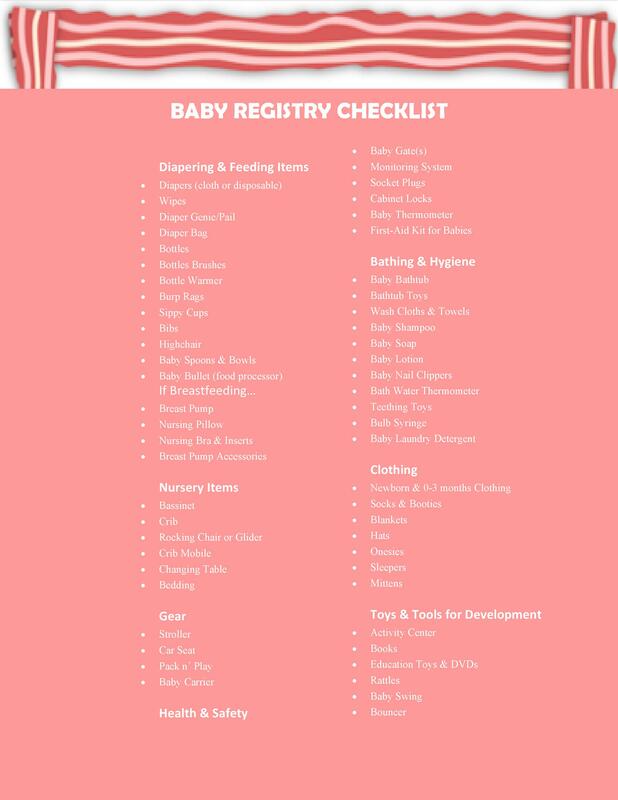 Do not forget to start looking at childcare and baby playgroup options as soon as possible, so you can be ready for everything your newborn child will need for months. 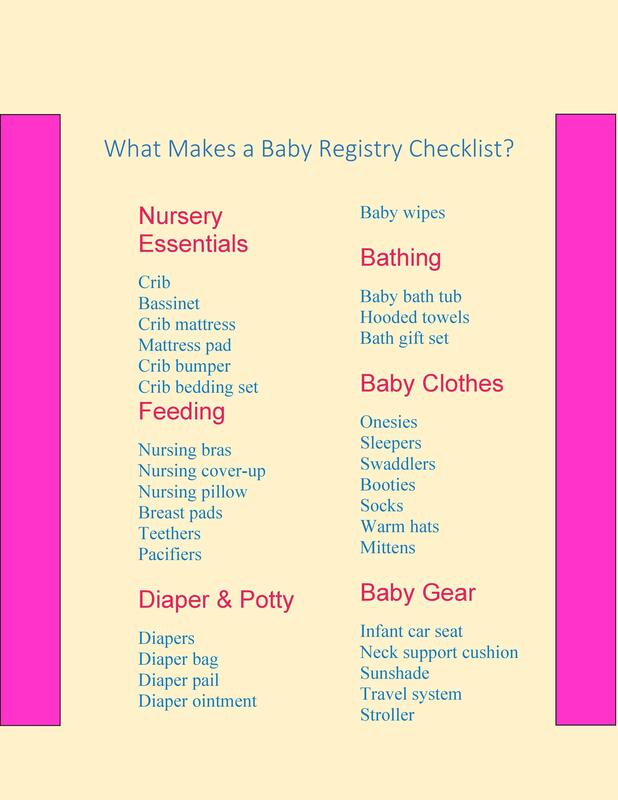 Be sure to consider everything your baby will need instead of just relying on a checklist. 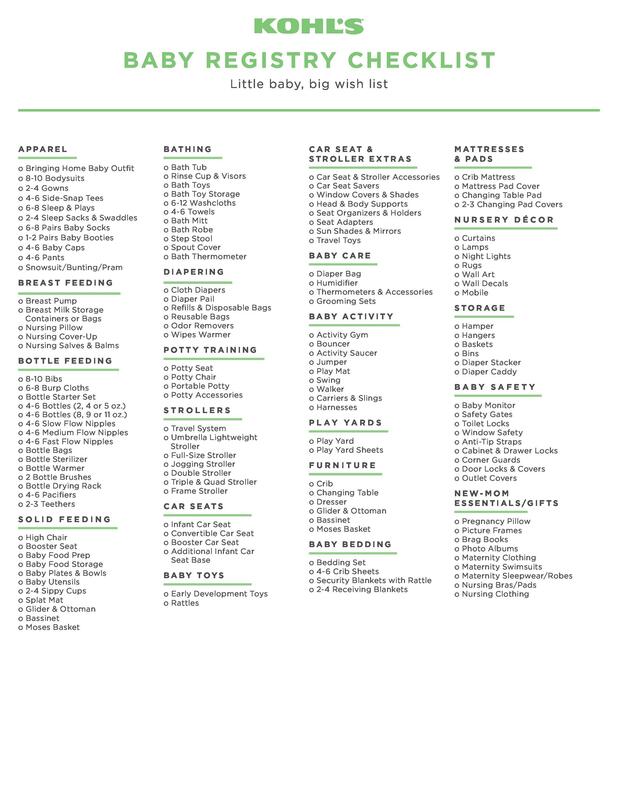 No matter how handy these guidelines and shopping lists are, they are normally not extensive.